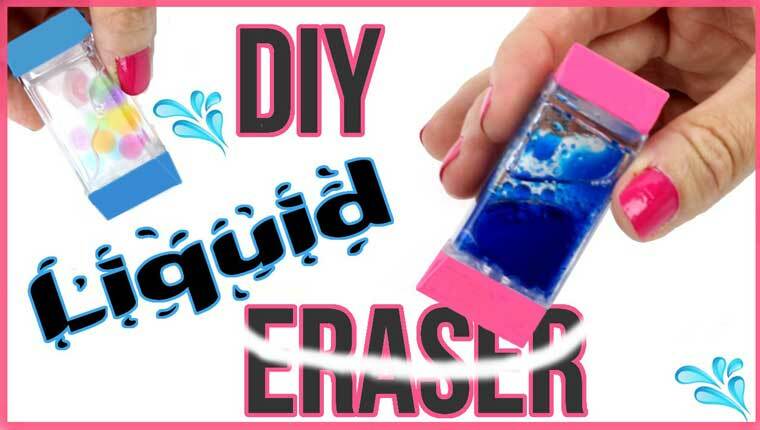 Because normal is boring, why not fancy up your erasers in school with this cute trick that would surely gain you the “Most Creative” award in class. If you have tons of empty TicTac containers at home, then let us make the most out of it by turning it to the cutest and most artistic eraser of all times. The video here will give you three ways on how to do it. First is the Lava trick, where the main materials to be used are water, food color, and baby oil. You just need to mix everything together by certain amounts placing it inside the container. Second, the glitter trick. Things you would need are: liquid soap, glitter, water and that’s it!. Well, ain’t all of that very affordable? Third is the Orbeez design. To those of you who are not familiar with the orbeez, these are the small colorful balls that turn bigger in water, cool right? You probably played with this back when you were young or if you haven’t, then you should! Final step would be attaching the eraser to each side of the TicTac container. Then tada! your super cute eraser ready to give color to your everyday school life.